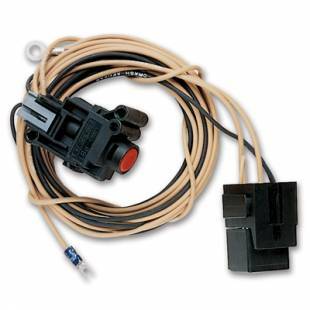 SOLVE TWO PROBLEMS GET YOUR FUEL PUMP RELAY AND ADD SAFETY! This switch was awarded the N.S.R.A. Best Safety Product of the Year. It will simply shut off your electric fuel pump in case of collision. Whether you have fuel injection or a carburetor, a broken fuel line can dump a lot of volatile gasoline on the ground or in your car in seconds. This is particularly critical if you have become disoriented or unconscious. "It can easily be reset in seconds. I have been using one of these units in my 1940 Chevy since 1993 (over 78,000 miles) and have never had it trip."